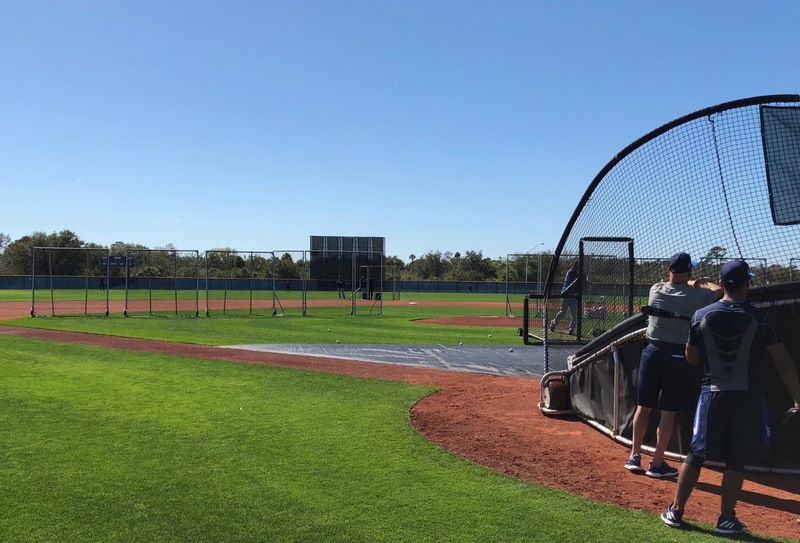 There’s been a bit of a stir this week with ESPN releasing a piece featuring Alex Rodriguez talking with Mike Trout regarding his training and approach at the plate. 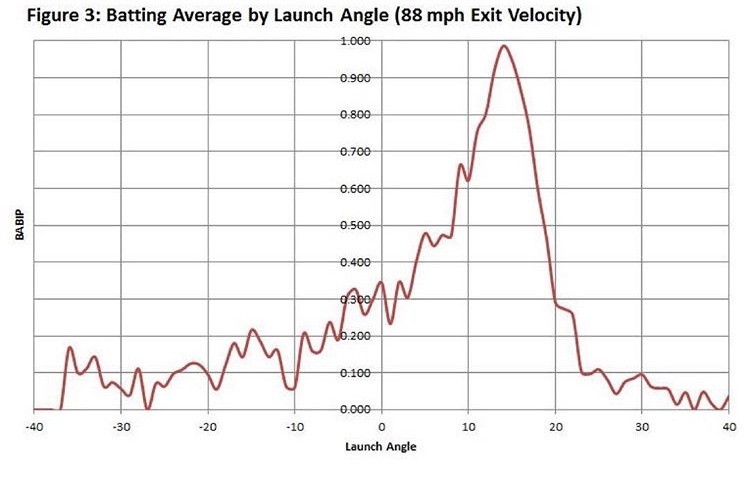 Since it aired, many coaches and instructors have been using it to decry all that “launch angle BS” that all these crazy, modern-day coaches espouse. In reality, however, it’s not crazy. Nor is it modern. 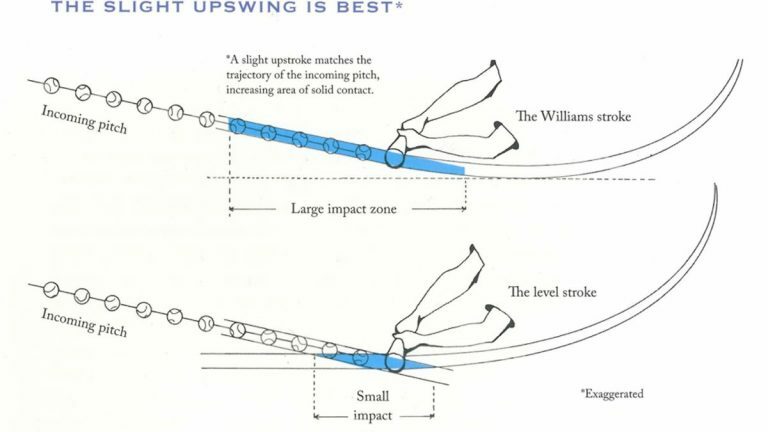 It is however, a pet peeve of mine, because when these people bemoan launch angle, what they’re usually actually criticizing is the concept of swing plane, an idea which dates back almost fifty years at the very least. Today I’m going to discuss swing plane, what it is, and how it relates to launch angle, which IS a relatively new concept. 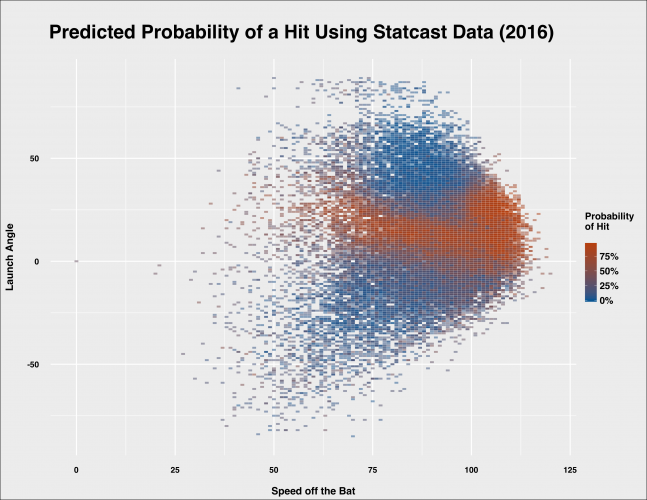 Since I’m focusing more on the practical and mechanical side of this, I’d also recommend that you check out the awesome data-related piece Driveline has on this subject. First, here is the Trout segment in question. Skip ahead to the 9:40 mark for the relevant discussion. What we have here is a case of “real vs. feel”. What Trout is describing is what he feels himself to be doing. It’s a mental cue that helps him get his hands to where he wants them to be. However, it’s not what is really happening when you look at his game swing as a whole. This is a cue that works for him, but you can’t look at his swing and tell me the barrel is moving straight down to the ball anymore than you can say the Earth is flat (hint: it isn’t). The ESPN piece is focusing on what he’s doing with his hands without taking into account what his lower half is doing. His hands/elbows/arms are in a completely different position in his game swing because of his lower half in addition to how he loads and slots his back elbow. His bat path, or “swing plane”, is still slightly uphill, on plane with the pitch, allowing for adjustability and acceleration of the barrel. This is, as I will explain shortly, what Ted Williams taught all those years ago and it’s what the greats do - get on plane deep behind the ball. I specifically included A-Rod, Pujols, Thome and Chipper because all of them have promoted the “down and through” swing in recent years. However, as you can see, this is not what they do/did. All of these hitters are matching plane and creating bat speed by allowing the barrel to work rearwards towards the catcher and then upwards through the zone. As for “launch angle”, which I’ll mention again towards the end of this post, it all too often gets conflated with swing path or swing plane. 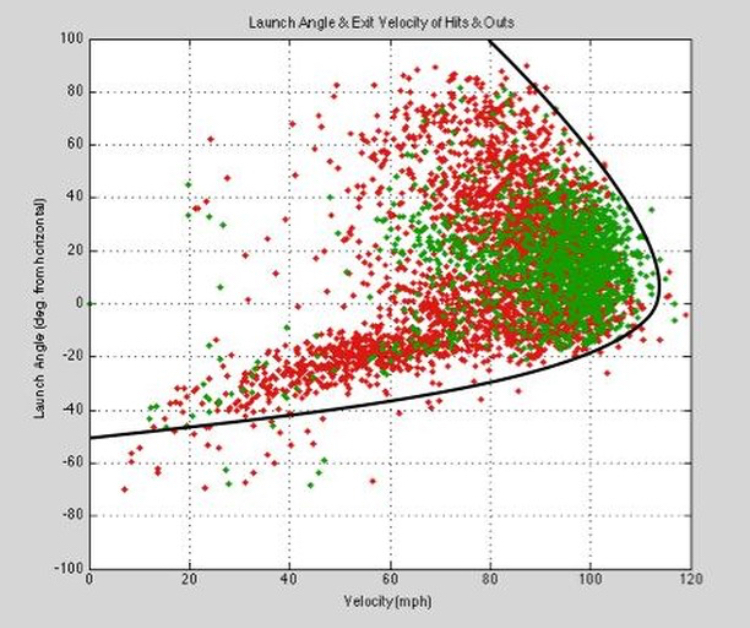 Launch angle is simply the angle of the ball’s trajectory off the bat. Even a ground ball into the dirt directly in front of the plate has a launch angle. Swing plane, on the other hand, is the route our barrel takes through the zone. While a slightly uphill (relative to the ground) swing path usually correlates to steeper launch angle, the most important reason for swinging slightly up is, as Ted taught, to give ourselves the maximum amount of time in the zone so that we can barrel up the ball consistently. Matching the trajectory of the pitch and getting the two points to meet in the middle (think two trains colliding on the same track) gives us a greater timing window as opposed to the two intersecting paths we get with a flat or downward swing. If you've ever heard the phrase "short to, long through", this is how it's accomplished. Moreover, when we get on plane early, we get a deeper barrel which means more time to accelerate through the zone. This, in turn, means greater bat speed. Think of it like a car on a straight track. A car accelerating for 100 feet will reach a greater top speed than one that only has 50 feet of track to work with. A bat that starts accelerating deeper and earlier on plane will reach the ball quicker and with more force than one that has to travel downward to get to the ball, particularly because this downward, “hands first” approach is out-of-sync according to the principle of the kinetic chain - energy working from the ground up and exiting through the barrel. By swinging down, we move the hands forward in the chain. Instead of allowing this proper sequencing to occur (legs > hips > trunk > shoulders/arms/hands > barrel, with each part decelerating before the next accelerates as energy is transferred from one link to the next), we’ve now forced the hips and shoulders to slow down. To use another car analogy, this is a bit like being in fifth gear at a high speed and downshifting too quickly. You’ll lock up the wheels moving the car, much like you will lock up the parts of the body driving the swing. Furthermore, because no two pitches are thrown on the exact same plane, in the exact same location with the exact same speed and movement, you are affording yourself more time to adjust to the pitch with a plane-matched swing. This is because acceleration occurs without the hands having to move forward since, as I mentioned earlier, the hands turn the barrel as opposed to pushing the knob with the bat first moving down and rearward towards the catcher in connection with the back shoulder. In a downward swing, the hands move first, pushing forward towards the pitcher, which means you have to commit to the swing earlier. This also makes it much more difficult to hit the ball to all fields. Due to the increased bat speed in an uphill swing plane, you can launch your swing later and still get to the pitch out front to pull it. Conversely, you have more time to let an outside pitch travel and take it the other way. If you’re swinging down and want to go opposite field, you will lack the bat speed to do any damage because the barrel accelerates so late. Also, when the hands are launched, the barrel acceleration has to happen out front, making it difficult to stay inside the ball and drive it the other way. One other benefit of the slightly upward path is that it avoids the top hand rollover common to the downward stroke. At contact, the top hand should be supinated (palm facing upwards). If it rolls over (top hand down), you’re likely going to wind up hitting a ground ball to your pull side. Proponents of the downward swing will also argue that you get more backspin from swinging down on top of the ball. This is correct, however you also get backspin from swinging slightly up as, in both instances, you are making contact with the bottom half of the ball. The difference in spin rate is negligible. However, as discussed above, the difference in timing, bat speed and adjustability is not. 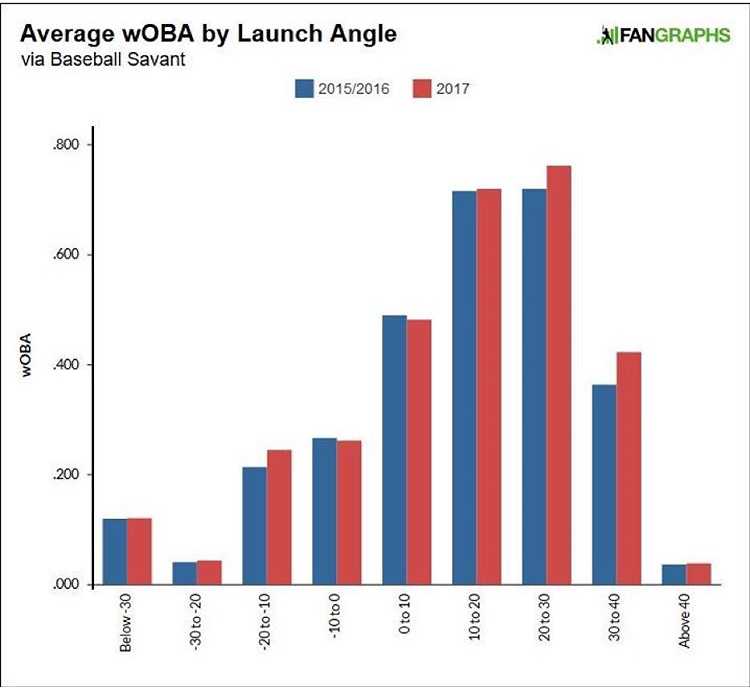 Now that that’s out of the way, we can also look at the numbers and see the correlation between success at the plate and hard hit balls in the air. This is where “launch angle” comes into play. As I stated at the beginning of this post, launch angle is not to be confused with swing plane. However, given that the data tells us that hard hit balls in the air provide us with the most success, shouldn’t we be attacking the ball on an uphill swing plane in an effort to produce those same hard hit balls? Thankfully, it’s not just modern coaches and hitting instructors that are recognizing these patterns and teaching with the goal of getting these results. Major League clubs are finally beginning to take all of this info to heart. Recently, I’ve seen a couple of big league organizations (the Rays specifically) setting up “walls” of screens in the the infield during BP in order to encourage hard hit fly balls. This is a great drill to do with hitters at any level that provides immediate, visual feedback. Remember - ground balls are outs at any level above little league - they may occasionally be productive outs, but they’re still outs. In closing, I think it’s important for coaches and instructors to always remain open to new ideas. Ignoring visual evidence, the laws of physics and hard data is no way to approach the game. A good teacher is also a good student - one should always be learning, adapting and evolving as new information presents itself. If not, you’re doing yourself and your players a disservice. Tim Kendall is a Major League Baseball Scouting Bureau certified scout and instructor. He has covered games in the Northeast region in addition to helping run showcase events. In 2016, he assisted the Pittsburgh Pirates in preparation for the June amateur draft. 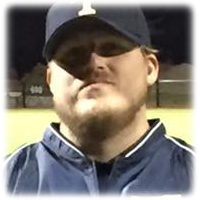 As an instructor, he has worked with several rep and travel teams and shared his knowledge with players of all ages as well as fellow coaches and instructors. While proficient in all areas of the game, he takes special interest in hitting, specifically from a biomechanical perspective. In addition, Tim is a retired professional wrestler and has used his experience in this field to bring an emphasis on strength and conditioning to players he works with. Tim hopes to serve as an ambassador for the game of baseball and to share his passion, expertise and love of the sport on an international level.